When will be Invite Only Cabo next episode air date? 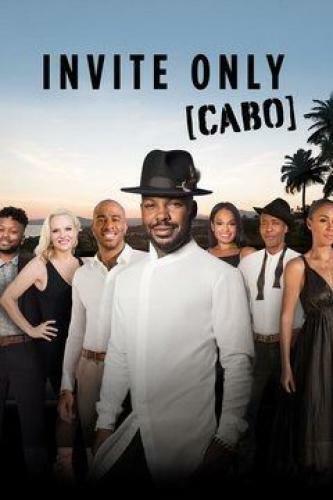 Is Invite Only Cabo renewed or cancelled? Where to countdown Invite Only Cabo air dates? Is Invite Only Cabo worth watching? Celebrity hairstylist Larry Sims invites six of his friends to join him for a vacation in Cabo San Lucas, Mexico; things get steamy between Larry and Bianca; sparks fly between Agu and Kamani; Emily takes something off in the middle of a restaurant. A tidal wave of scandal hits the vacation home after a night of partying in Cabo; Emily makes a life-altering decision, jeopardizing her relationship back home; Kamani exposes Bianca's trifling ways to Larry. The crew enjoys a bottle-popping pool party, during which Bianca asks Larry a jaw-dropping question; Jermane faces one of his greatest fears; Agu tries to get back in Kamani's good graces; an all-terrain vehicle ride ends in disaster. Agu tries to get closer to Kamani, but Emily doesn't make it easy for him; Larry cooks up big plans for Bianca's birthday, and the guys are forced to intervene, leading Larry to drop a bomb that makes everyone's head spin. Larry stuns everyone with a mystery guest, who comes into the house with guns blazing; the group leaps head first into a Mexican canyon; Larry surprises Emily with her boyfriend for her birthday, and she must scramble to keep her infidelity a secret. A sushi dinner gets messy when Kamani and Emily let their claws out; Larry and Bianca witness a backseat bombshell that they try to contain, then the secret is revealed, causing emotions to explode, and one of Larry's friends may be going home. When Larry brings his secret lover to the house, Jermane leads an interrogation; a wild night of partying ends with an epic truth-telling explosion between Emily and Agu; Larry cracks under the pressure, leaving the entire vacation in limbo. Larry's relationship with his lover is better than ever, until he gets blind-sided by a confession; Agu makes a last ditch effort with Kamani; Kamani forces Emily to face her demons; Larry treats his friends to an amazing day on a luxury yacht. Invite Only Cabo next episode air date provides TVMaze for you. EpisoDate.com is your TV show guide to Countdown Invite Only Cabo Episode Air Dates and to stay in touch with Invite Only Cabo next episode Air Date and your others favorite TV Shows. Add the shows you like to a "Watchlist" and let the site take it from there.